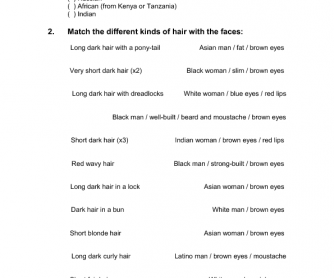 This is a simple worksheet based on Michael Jackson's Black or White song with two exercises: one to put in order of appearance the different nationalities, and another one to match the different faces showing at the end of the song (in order of appearance) with their kind of hair. Useful for elementary students. 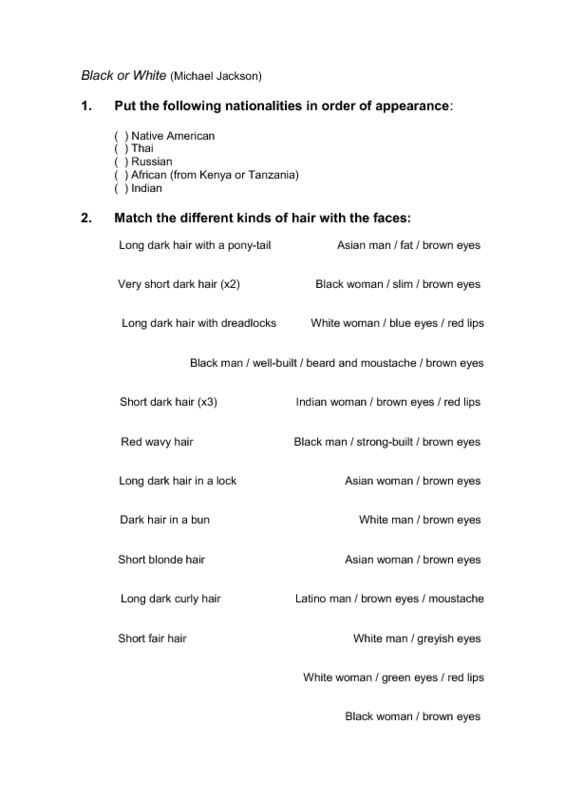 I find it is a great song and video clip, and I couldn't find any suitable worksheet, so I decided to create one, though fairly simple. Hope you like it!